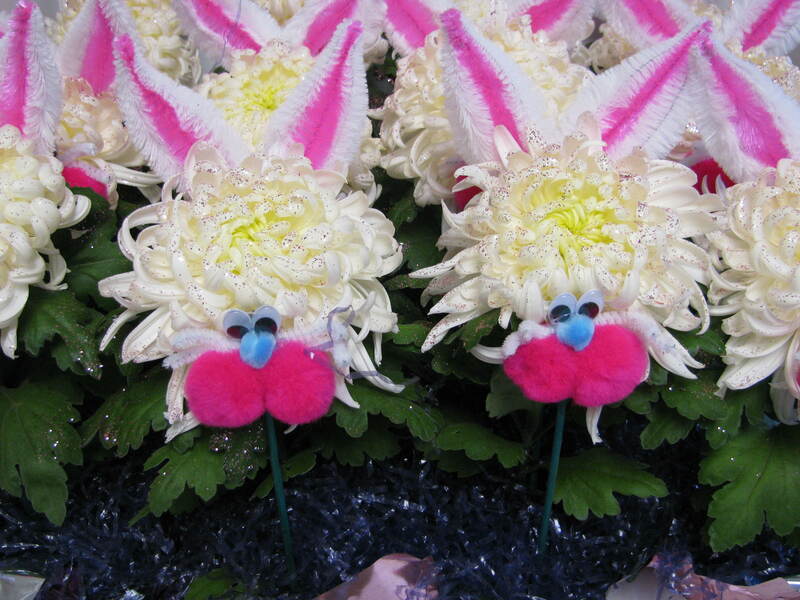 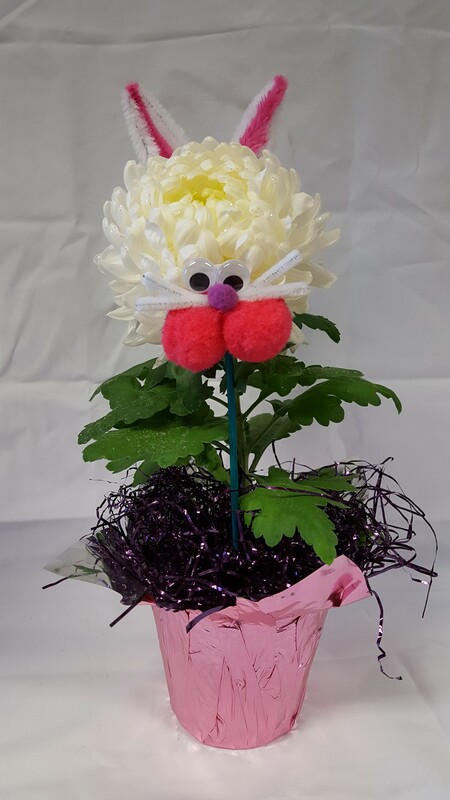 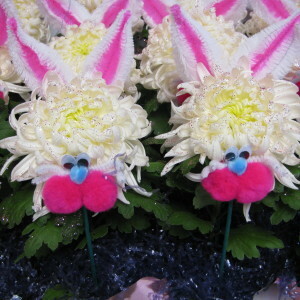 Have a hoppy holiday with our Bunny mums! 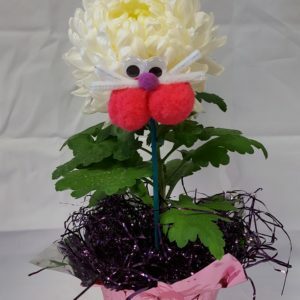 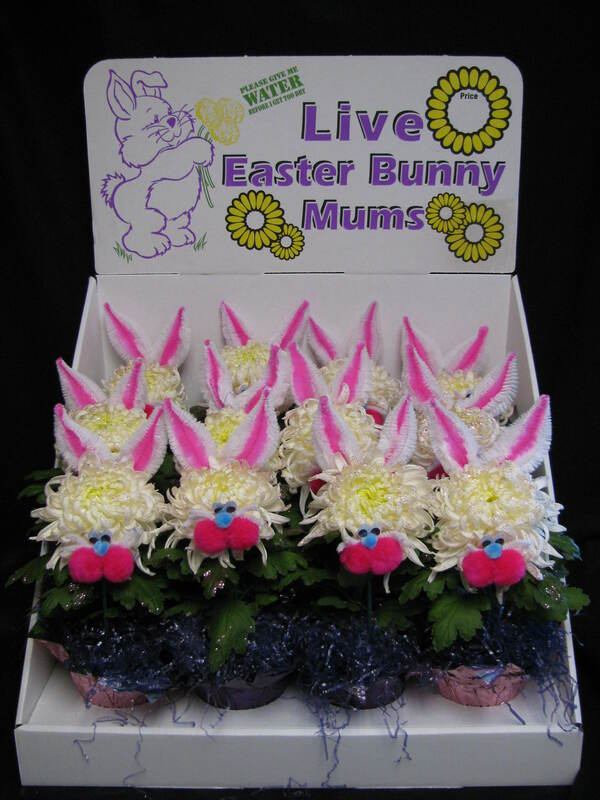 The Bunny mum is a 4.5″ white football mum dressed with hand-crafted bunny decorations. 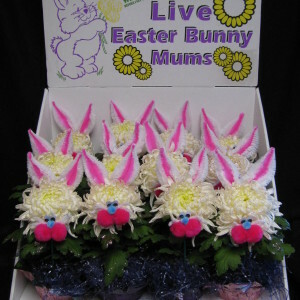 Individually wrapped in pot covers, our Bunny mums come packed 12 per display case.